In the third quarter we are wrapping up Earth and Space science with cycles and patterns of the Earth, Sun and Moon. We will learn why and how we have day/night and seasons. Fourth quarter begins on March 11th. Ending the year, we will focus on all physical science content areas including motion, light energy and sound energy. We will discover that energy is all around us and acts in predictable ways. The 5th grade Science AIR test is approaching quickly on April 8th and 9th. Students can begin to prepare themselves by visiting the link below for practice tests. Reviewing information from our Google Classroom page and Interactive Notebooks will also greatly help in preparation for this test. Science will start back up for 6th graders after Spring Break on April 22nd. As of right now I plan to be there for the first week back to science, then my long term substitute will take over for my maternity leave on April 29th. Hoping I will get to see you all one last week before the end of the school year! Student Council members are holding a collection drive for old markers, highlighters, and dry erase markers. Between March 11th and 15th, elementary students are asked to bring in these old markers and turn them into their homeroom. Student Council will then collect them and mail them to Crayola's Color Cycle program so they can be recycled. We're excited to take part in this activity! The fifth graders have been practicing their skill of going back into the reading to find the information that will help them answer questions correctly. So many of them skip the great opportunity to find the answer to their question in the passage. We have been working on highlighting the content in the passage that assists students in choosing the best answer to multiple choice questions. We are working on eliminating the answers that don’t relate to the question to narrow our choices down and make better decisions. We will also be working on poetry this month by analyzing the author’s language and structure. Students will revisit rhyme scheme and rhythm. We will also apply our skills in figurative language to understand the message of the poem . Our students have written so much this year and are becoming better writers with purpose and efficiency. They have learned to create an outline before each type of writing in order to stay focused on the direction , given by the prompt . We will continue with that for the remainder of the school year. 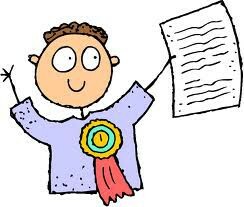 Our kids will enter 6th grade knowing the process of effective writing and will then be able to “fine-tune” their skills. 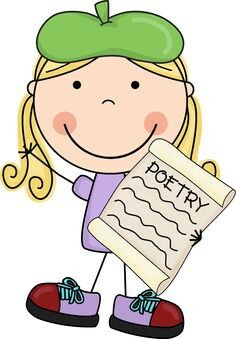 Poetry has been a focus for the 6th grade in late February and the beginning of March. Students are learning how to analyze poetry given the figurative language and the rhythm/rhyme schemes. The more we work on it, the easier it is becoming for our kids to understand the poetic form and meaning. Writing is a “work in progress” as we prepare for the AIR testing at the end of March. These students are feeling more confident and working at a pace that will ensure them the ability to tackle the writing prompts given on our state tests. The writing expected for the 6th grade is: Expository and Argumentative. Literature based question types using the Part A- Part B format have always been hard for our students. We have been working hard on evaluating those questions and using the text for choosing the best answer. This will be a focus as we approach our final tests of the year. With the start of this month we will be diving into the Ancient Civilizations of Egypt, Mesopotamia, India and China. The students will be working through activities that will enhance their knowledge of the different features of each of the civilizations. The students will make connections between each civilization and hopefully start to realize the lasting contributions from these ancient people that we still see today. I will see them back after interims of the 4th quarter. In Chapter 9, students continue to make and use line plots, including those with fractional measurements. Students learn how to identify and plot points on a coordinate grid and how to read and write ordered pairs of numbers. Students also learn to use line graphs to display and analyze real-world data. Finally, they learn to identify relationships between number patterns and solve problems involving patterns. In Chapter 10, students learn to convert like measurements within a given measurement system and use these conversions in solving multistep, real-world problems. Students also learn to convert units of time to solve elapsed time problems. In Grade 6, students continue to develop quantitative measures of area and volume for geometric figures. 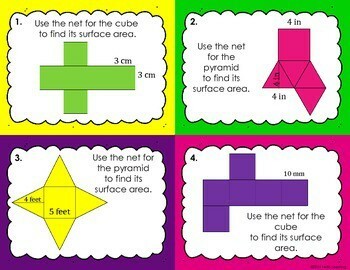 In Chapter 10 & 11, students combine their understanding of area and three- dimensional shapes to develop a conceptual understanding of nets and surface area. 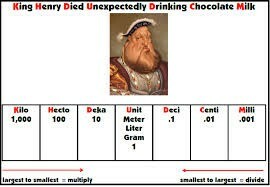 Students use this understanding to relate the area of a net to the surface area of a three-dimensional object. They also investigate volumes of objects with fractional side lengths, first considering packing the volume with unit cubes with dimensions of unit fractions, then connecting to the abstract use of formulas. These concepts are used to solve problems in both real-world and mathematical contexts.